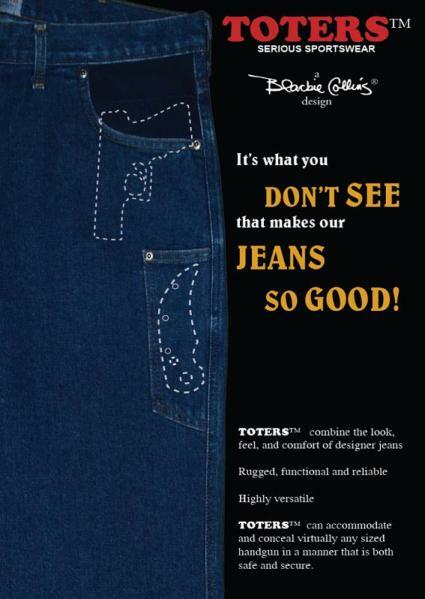 Toters™ Jeans combine the look, feel and comfort of designer jeans with the ruggedness, functionality and reliability necessary for trouble-free performance out in the field. 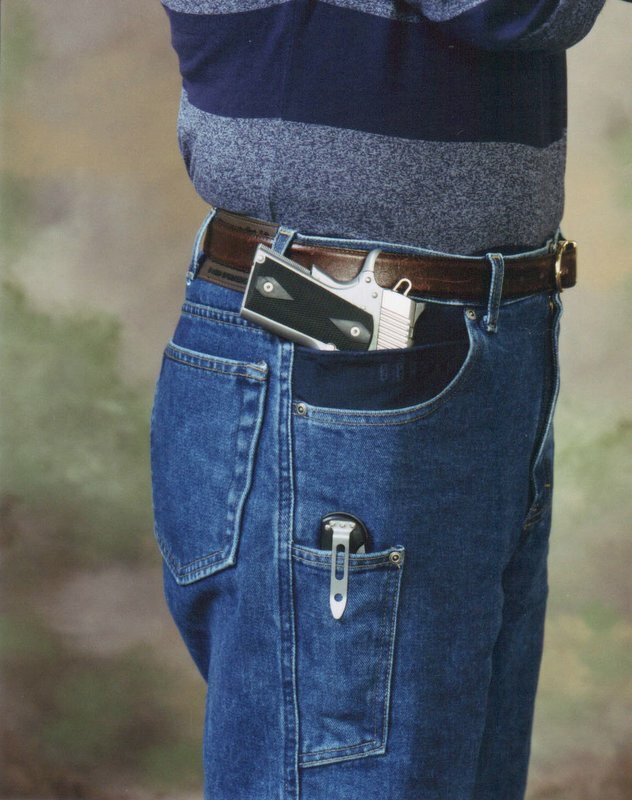 These highly versatile jeans can accommodate and conceal virtually any sized handgun safely and securely. 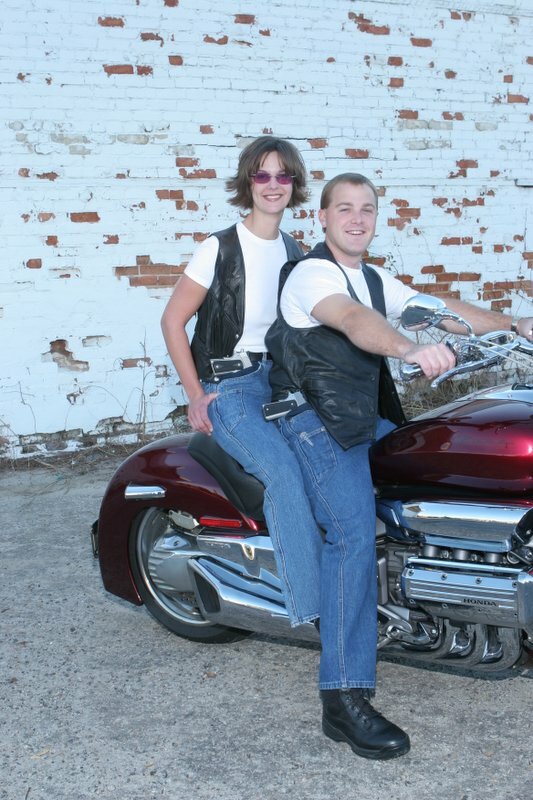 Waist Size Choose an option28"30"32"34"36"38"40"42"44"46"48"50"52"54"56"58"60"
Made by Americans in the Southern United States, the true strengths of Toters are both what they do and how they do it. Toters’ front and rear pockets are lined with the super-strength material Cordura Plus®. 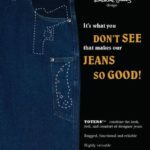 This means that the naturally soft cotton denim fabric of the jeans will not wear through from carrying a handgun, knife or other solid steel object. 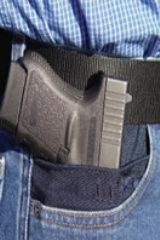 The front pockets are particularly unique in that they have an adjustable holstering system as well as a full inner compartment in place of the ordinary watch or coin pocket. Toters’ concealed carrying system boasts two additional special pockets that ensure your knife or even your mace are always in a position that allows easy access, as well as a comfortable carry. 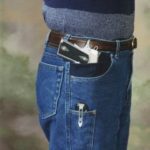 Conceived and created by veteran holster and knife designer Blackie Collins, Toters are an innovative alternative to the limited options one has when purchasing concealed carry clothing. The solution: Toters™.